Traces Selection helper: a tool to quickly select some of the most common traces to clean. Cleaning Internet activity: removing traces from most contemporary browsers and communication programs. Cleaning personal traces: removing various lists, logs, caches, temporary files, and other traces of your activity. Cleaning system traces: removing registry traces, temp files, system history, and various log files. Cleaning traces from various third-party programs: removing various caches, logs, temporary files, recent file lists, and other traces left by applications. 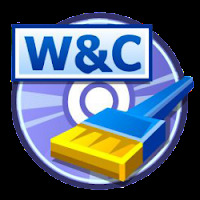 Cleaning can be performed as a background task and computer can be turn off upon its completion. Support for SSD devices: R-Wipe & Clean correctly recognizes SSD devices and by default wipes only necessary data on the disk preventing them from additional wear. Strong or fast erase algorithms, including DoD-approved, for wiping files and free disk space. Support for FAT/exFAT and NTFS file systems. Wiping files' alternate data streams and cluster "tips", or free parts of file clusters. Wiping files directly from File Explorer. Wiping free space on a single disk directly from its shortcut menu. Wiping unused space of several disks through one single wipe task. Wipe records of small files stored directly in the NTFS Master File Table. Predefined wipe lists of files, folders, and Registry keys to be wiped through a single task. Files or folders can be added to a current wipe list directly from File Explorer. Detailed representation of all trace items on your computer. Detailed logging of all wipe and clean operations. Customization: R-Wipe & Clean can hide those items you will never want to clean. Full system integration: Most wipe and clean operations can be performed directly from Windows. R-Wipe & Clean Smart: an advanced tool to create and manage very complex wipe lists. Cleaning and wiping task can be started from a command line. Boss Key to close a web-browser in emergency. Stealth mode to hide computer cleaning. Startup Renaming for files/folders locked by Windows and other programs. They will be renamed and cleaned during the next start-up.